I have a nice healthy amount of empties this month! 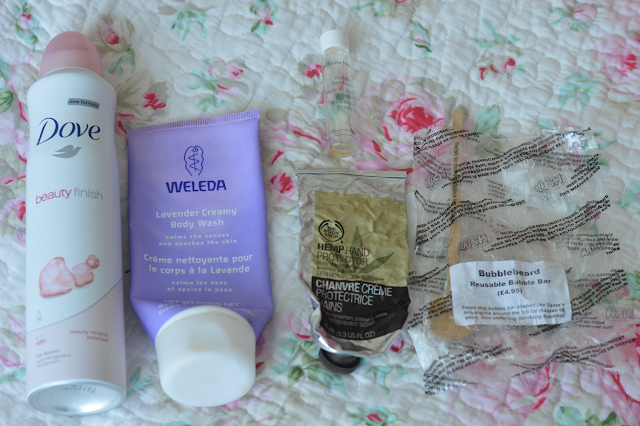 Some products I'm sad I've used up others not so. It's very satisfying seeing skincare, haircare, body care & makeup being used up. 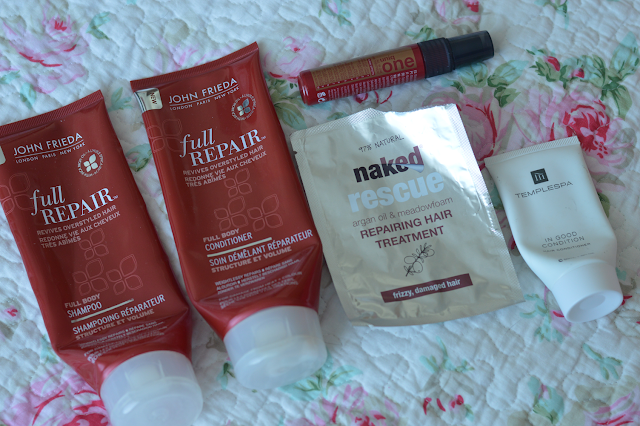 I've enjoyed using the John Frieda Full Repair shampoo and conditioner and would definitely repurchase both of these. They're a good size and seemed to last me a little while. They're enriched with Inca Inchi Oil which helps repair dry damaged hair. I thought this range may have been too rich for my hair Seeings I don't have dry or damaged hair but it can get a little frizzy from time to time and these both worked a treat. I found the shampoo to be very cleansing and the conditioner wasn't heavy. The perfect combo! naked rescue Repairing Hair Treatment smells delicious and was a lovely treat for my locks! It contains Argan oil which is like liquid gold for the hair. A great treat for the hair! Repurchase? Yes! 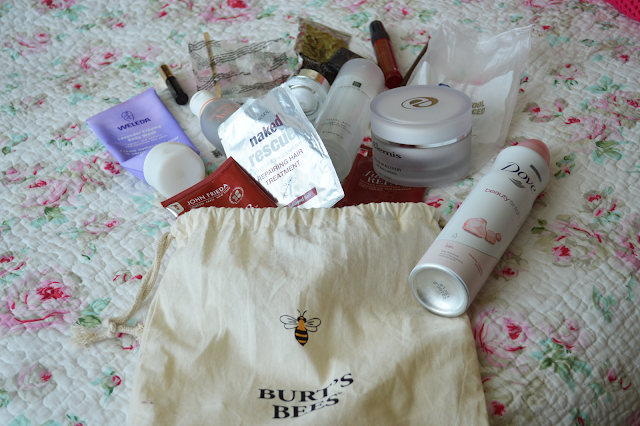 UniqOne was a little sample which came in a Glossybox, can't remember which one but I loved using it! I would spray this freshly washed hair and comb through with my Macadamia Wide Toothed Comb. This reminds me of That's a Ten Leave-In Treatment, which is a staple for me. They're both priced roughly the same for the same amount of product. I would be happy to use either one. I've tried picking one but I can't, they're both just as good as each other. I'll probably take in turns repurchasing them both. Leading me onto my next hair are product from the brand Temple Spa, In Good Condition is a conditioner in case you hadn't already guessed. I'm not going to beat around the bush on this one, its nothing special. Shame because it smelt nice but just didn't impress me. Repurchase? No. Whilst I'm talking about Temple Spa the next empty Is from them and it's a winner! I was introduced to the brand late last year by a friend. She was hosting a party and along I went, dispute having a draw full of cleansers I couldn't help myself and ordered the Dual Act cleanser. It smells and feels great, a cleansing lotion which can be used wet or dry. I prefer to use this on dry skin and remove with a muslin cloth. This reminds me of Liz Earle C&P, price wise it's £18 / q150ml where as a 100ml C&P is £12.75 so it's in the same origin Of price tags. Repurchase? Yes I would! It's great for combination skin types to use in the winter months. Elemis Cellular Recovery Skin Bliss Capsules have been a life saver or should I say a skin saviour! This jar is separated into two sections. Pink capsules for morning use, contains rose essential oil. Then green capsules for evening use which contains lavender oil. Using these both you in my skincare routine has been very enjoyable. The mix of essential oils is relaxing and therapeutic. The aromatic scent is intoxicating. Feels like you've just had a facial. Repurchase? No need I already have a back. Avene Micellar Water, what can I say? A great gentle cleansing water which works well at removing makeup without irritating the eyes or the face. I only wish this came in a bigger bottle! 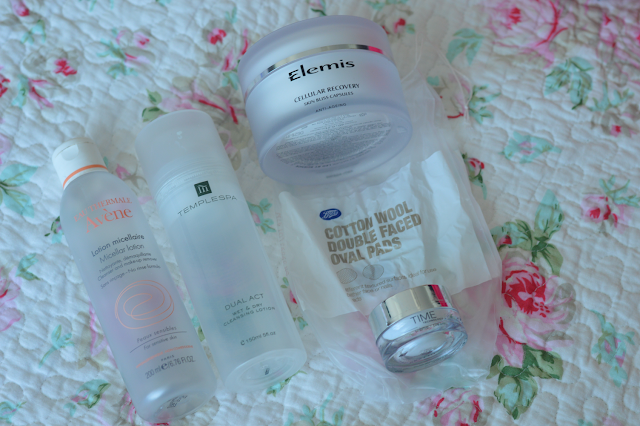 You can read my full review here- repurchase? Yes but not right now as I have other cleansing waters to use up. Boots Cotton Wool Double Faced Oval Pads doesn't,t exactly sound exciting I know! But because I love these so much I wanted to mention them to you in case you're on the look out for some nice decent cotton pads. I've tried cheap £1 ones and find them scratchy and not nice. Whilst their cheap they're not cheerful. Plus they tend to be thin as, so on a recent shopping trip I saw these and picked them up on a chance they may actually be good. There's 50 pads in the pack and I can't remember how much they set me back but I would and will repurchase for sure! They're a nice healthy size and one pad does both my eyes. Well my next empty was a popular one amongst the Lushies over Christmas. Lush Bubblebeard was used up pretty quickly. I loved the quirkiness of the bubble bar and the scent was perfect for the season. A really fresh menthol scent which cleared the senses, great if you we're feeling a bit rubbish and wanted a pick me up! Dove Beauty Finish 48HR, not sure what I can really say about a deodorant. It smelt nice, it didn't leave any white marks and it worked well. Repurchase? Already have. Institut Esthederm Time Technology Cream, I loved using this and was gutted when I finished it up! It contained tiny little particles of gold which literally made the skin glow. My skin loved it once the colder months came. Repurchase? Not at this moment I have a draw full of lotions & potions that need using up! Hemp Hand Protector is amazing! This is my 2nd tube and won't be my last, this is heavy duty stuff and great for people with outdoor jobs or anyone who suffers from sore dry hands. Repurchase? Over and over again! Nars single eyeshadow Nepal, I've had this shadow for years and have loved it so much! It's the perfect shade to wear all over the lid on its own or team it up with a sultry smokey grey! Repurchase? Already have. 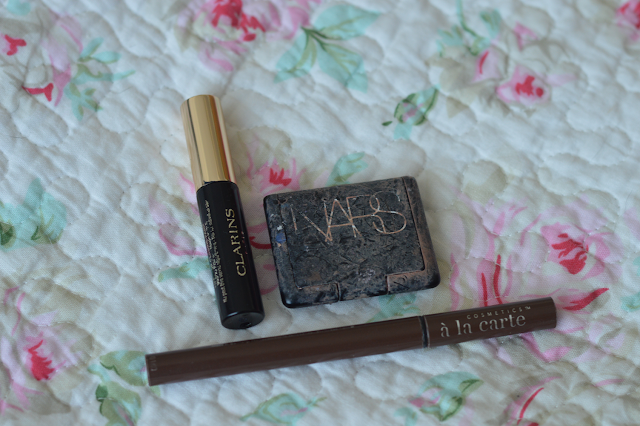 A La Carte Cosmetics brow ink, this came in the Carmine boxes and I didn't use it for months because One it terrified me and two I wasn't overly confident applying it. But after watching a heap of YT videos raving about it I knew I had to dust it off and give it a go. It's great- I love it. Very natural and lasts all day long. Since using it I have learnt that GOSH cosmetics actually have a brow ink for the fraction of the cost and is almost identical! Repurchase? No- going to pick up the Gosh one. Phew! If you made it this far, pat on the back!!! Have you been using up any products this month? I love the hemp hand protector! And wow that is one battered NARS case! You did great this month! The only product I have tried from these is the Dove deodorant, but I have the roll on one.